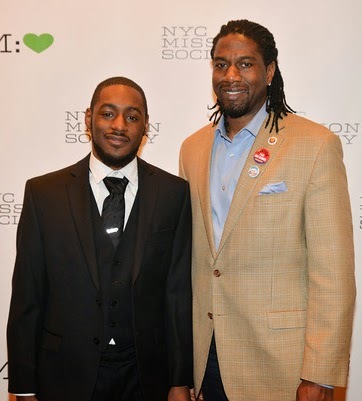 This year, the NYC Mission Society honored two Champions for Children: Colbert Narcisse, Managing Director and Global Head of Alternative Investments, Morgan Stanley; and, Hollis Russell, Partner, Ackerman, Levine, Cullen, Brickman & Limmer, LLP. The gala was held at the Mandarin Oriental in Columbus Circle, starting with cocktails at 6:00 PM followed by the awards ceremony and dinner at 7:00 PM. 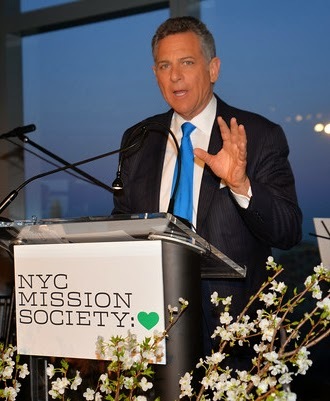 This year's Master of Ceremonies was Bill Ritter, anchor at WABC-TV and 20/20 correspondent. The Fat Afro Latin Jazz Cats, an ensemble of the Afro Latin Jazz Alliance, provided the entertainment. 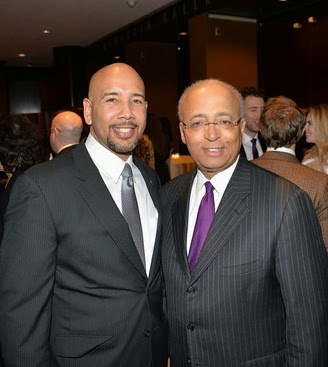 Grammy Award-winner Arturo O'Farrill, founder of ALJA, attended the gala. Gala committee co-chairs included Peggy and John Bader, Carolyn and Lloyd W. Brown, II, and John U. Moorhead. 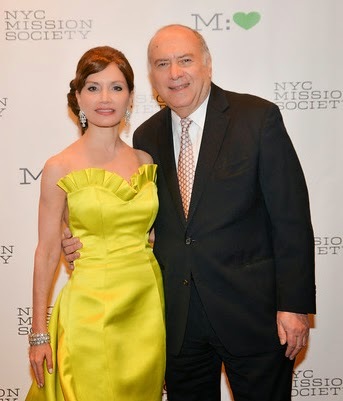 Honorary gala chairs were Stanley H. Rumbough and Fiona and Stan Druckenmiller. 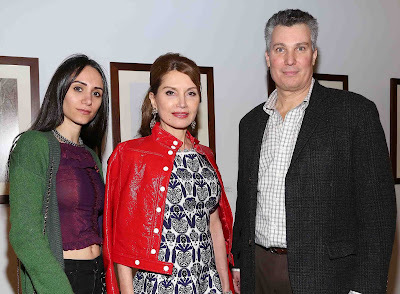 Brooke Laing, co-founder of the NYC Mission Society's Junior Society, was this year's auction chair. Members of the benefit committee included: Flo Anthony, Sharon Bush, Suzette Charles, Penny Grant, Shannon Hales, Ambassador Mary Ourisman & Mandell Ourisman and Christine Schott & George Ledes. The corporate chair was Barclays. 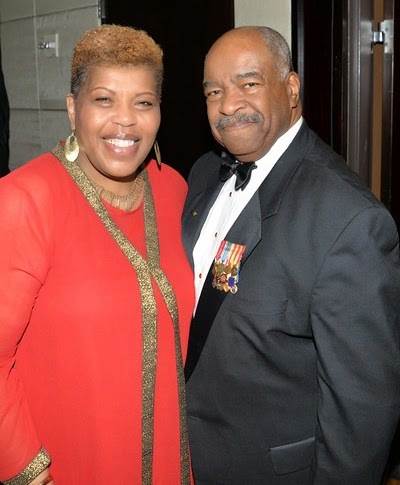 Gala attendees included: former Mayor David Dinkins, Bronx Borough President Ruben Diaz, Jr., New York City Council Member Jumaane Williams, David Banks, Erik Bottcher, Geoffrey Bradfield, Valentino Carlotti, Natasha Das, former Bronx Borough President Fernando Ferrer, Joseph Fichera, Priscila Hall, Brooke Laing, Gregory Mays, Scott Nammacher, Amelia Ogunlisi, James Peterson, Cole Rumbough, Derek Steinhiser, Elinor Tatum, Sheena Wright, B. Michael, Marc Anthony, and Victor De Souza. 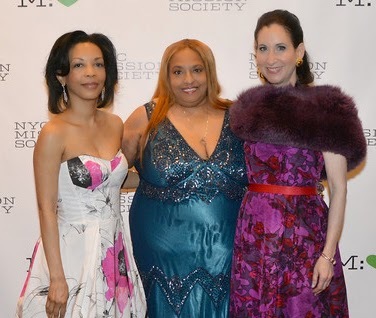 The NYC Mission Society has been on the front-lines of the war on poverty for more than 200 years. Today, our progressive portfolio of educational, restorative justice, cultural enrichment, and workforce development programs make a positive, long-term impact on youth in the City’s most unde-rserved communities by promoting academic achievement, combating violence, and providing career opportunities. Each year, we serve more than 13,000 children and families throughout New York City with our programs, supportive services, and community events. Learn more at http://www.nycmissionsociety.org.